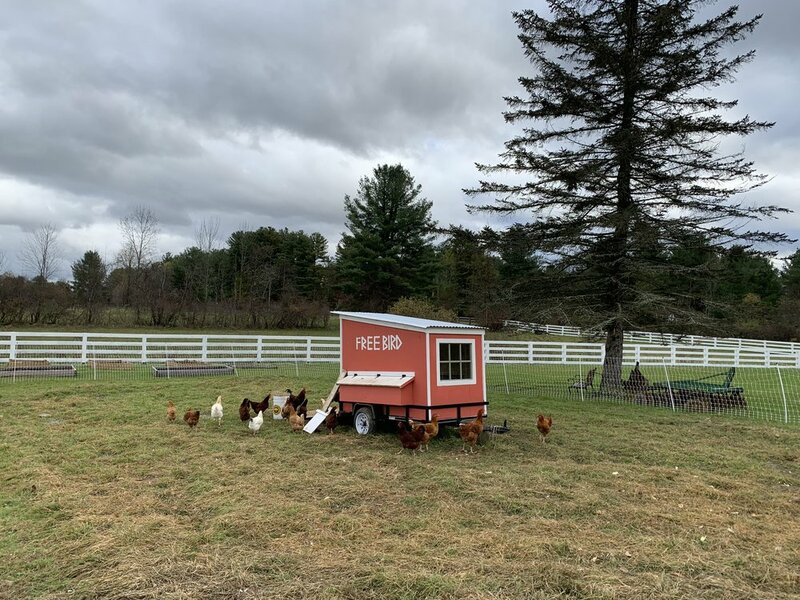 When we got our first chickens last spring, we bought a chicken tractor to be their mobile home. Through the summer and autumn, we rotated it through a section of grass each week. We set boundaries with mesh poultry fencing that we connected to our high-tensile fence to electrify it. This way the chickens could free-range in a large section of grass, but were protected from predators. But eventually, moving the tractor proved to be a big task—especially when we bought more chickens and more fencing, so there were twice as many posts to uproot and reset every week. Plus, the chickens were eating a huge amount of feed. We’d discovered that about a third of our flock was roosters who obviously weren’t giving us eggs, so spending a lot on their organic feed really wasn’t a good investment. A few weeks ago, we decided to try letting them free-range all over the property. Their tractor is always open, so they go inside at night and if they need shelter from the weather. We’re saving a lot on feed because they have access to a much larger area to eat from, and their eggs are even more delicious than before, with the brightest orange yolks. So far we haven’t had a problem with predators, and the chickens have even cleaned up some of the dead plants and brush on our property. For the time being, we’re letting our girls roam free.